SUMMER 2016: The last two weeks of July have been dominated by the political conventions to nominate the Republican and Democratic candidates for president and vice president of the United States. The polarization of the two parties and discord within each are extreme. During the last few months, we have been confronted by more tragic police killings of African American men; police officers have been gunned down in American cities; mass killings in Orlando and Nice point to lone gunmen incited by hateful rhetoric or mental illness or both; Brexit stuns the European Union and the world; boatloads of refugees from the Middle East continue to arrive; a failed coup in Turkey leads to a crackdown by what appears more and more as a brutal dictatorship; in Baghdad, car bombs kill two hundred in early July, and a suicide bomber leaves twenty-one dead as we enter August. All this is just the tip of the iceberg of the unrest dominating the world scene. As I sit writing the introduction to volume ten of The Collected Works of Chögyam Trungpa, all these events pass through my mind, or maybe I should say that they flood my mind—for I don’t find that I can easily distance myself from all this intense chaos, most of it extremely painful. It’s an interesting time to be contemplating and commenting on the most recent books by Chögyam Trungpa, in part because they seem strangely apropos, suited to this time. I often think about the dharma as though it had independent agency, especially regarding the dharma teachings of Chögyam Trungpa. Like water flowing in a powerful stream, if you try to block it or dam it up, it will find a way to flow downstream via another path or course. And if it’s needed at a particular time, it will well forth from the earth as a new spring, emerging in an entirely new spot that is lacking in moisture. This may be both wishful thinking and a form of animism. Regardless, as a metaphor, it describes how auspicious and irrepressible Trungpa Rinpoche’s teachings often are, and how fortunate it is to have his recent books available to us at this time. 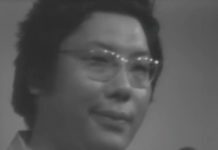 Read Chögyam Trungpa’s opening address to Ngedön School—excerpted from Volume Ten. A number of articles from the Vajradhatu Sun are included in the “Selected Writings” in Volume Ten. The last of these is entitled “What is Ngedön?” It is the opening address of the Ngedön School of Higher Learning at the Naropa Institute, which was established by Chögyam Trungpa and his students in the early 1980s to help train students in the in-depth study of important Buddhist texts, sutras, and other teachings that are conventionally presented as the basis for formal learning in the Tibetan Buddhist tradition. Many Tibetan Buddhist teachers presenting the dharma to Western students focus their more advanced presentations on their commentaries on well-known teachings and texts from the tradition, and students also read the original texts and traditional commentaries, usually in English translation. Trungpa Rinpoche, even at the Vajradhatu Seminaries (three month advanced practice and study programs), had rarely taken this approach. He was certainly teaching from the tradition and consulting important texts and commentaries, but he usually taught without direct reference to the texts he was using. Why did he take this approach? We cannot definitively say. However, by examining what and how he taught, we can see that he was creating a set of teachings that were both a comprehensive presentation of the foundational teachings of all the yanas, and also an approach that was directly aimed at the Western practitioner. To appreciate this fully, one need only turn to The Profound Treasury of the Ocean of Dharma, the three-volume compendium based on his teachings at all of the Vajradhatu Seminaries from 1973 through 1986. Judith A. Lief, one of the most senior editors of Chögyam Trungpa’s work, spent many years compiling, arranging, and editing this material for publication. It came out at the end of 2012, the twenty-fifth anniversary of Trungpa Rinpoche’s death, or parinirvana. 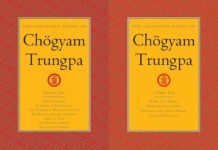 These volumes are one of Trungpa Rinpoche’s landmark contributions to American Buddhism—indeed Buddhism altogether. Ngedön School was very much Rinpoche’s creation. It was unique. Inspired by the traditional shedra (monastic college), yet updated, with enough rigor to stretch and penetrate the hard shells of our opinions about the dharma—but not so much rigor as to scare us off. At least not all of us. I’ve heard an interesting story from several people in attendance at the talk you’ve included in volume ten of The Collected Works. 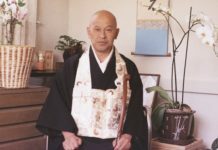 Many people remember Rinpoche’s request to people at the end of the talk: “I want you all to raise your hands to say that you are not going to drop out. Good.” Apparently he knew it would be daunting. In this talk included in The Collected Works, Rinpoche explains to his students the importance of following the approach of ngedön, rather than relying solely on trangdön. Using the famous analogy of a finger pointing at the moon, ngedön is the moon itself, while trangdön is the finger. Or, if the moon is reflected in a hundred bowls of water, seeing the moon is the ngedön view; while looking at the hundred bowls is trangdön. Trungpa Rinpoche wanted to be sure that his students would not mistake trangdön for ngedön. Through the Ngedön School, he was training his students to look at the essence of the teachings, the moon itself, with direct insight. In the question-and-answer period in the talk “What Is Ngedön?” a student asks Rinpoche, if he is now inaugurating the ngedön approach, then what was he doing before this, all along? Rinpoche admits that his teachings have been ngedön style from the beginning, if the student can see them with that view. Reading this, it struck me that, in fact, his whole approach at the Vajradhatu Seminaries and in many other teaching situations was giving teachings in the ngedön style—raw, direct, going to the heart of the truth. In fact, it seemed to me that Rinpoche had been, as he often did, doing things for Westerners in reverse order. He gave the heart teachings, in some sense, first, and then, having trained his students to see into the heart of the teachings, he suggested that they look at the traditional texts with that training. Sometimes people imply that he never delivered a thorough or complete training because he didn’t present the traditional texts and commentaries—at least not overtly. On the other hand, he gave students the building blocks to understand the context of the traditional teachings while also going directly to the pith, so that his students could see the real meaning. What and how he taught provide excellent analytical tools and skills for studying in a more traditional context. 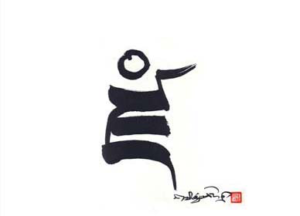 He [Chögyam Trungpa] made the connection between study and meditation practice explicit, which differs from the shedra model. 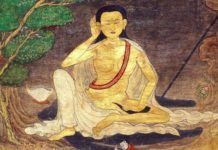 Sitting meditation was a part of each class, as well as practice of the short, brilliant Manjushri sadhana—The Sun of Prajna—which he wrote in response to a request of Lama Ugyen Shenpen. Sadly, this sadhana seems to have fallen into disuse. Rinpoche made completion of the Vajradhatu Seminary and receipt of the vajrayana transmission, or pointing out, a prerequisite. 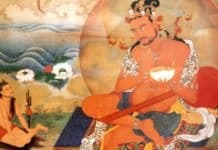 All of us in the school were practicing ngöndro, or the sadhana of Vajrayogini or Chakrasamvara. Meditation practice was integral to the understanding of the true meaning of dharma. So many people benefitted from Ngedön School, which made the definitive view of buddhadharma accessible to the majority of our sangha in those times. And so many people contributed. It was another brilliant example of Rinpoche’s transcendent kindness and creativity. He never wavered from the essential meaning. As I complete the introduction to volume ten, I’m somewhat relieved to be coming to the end of compiling the manuscripts of volumes nine and ten of The Collected Works. Relieved is often how I feel at this stage of a demanding project! At the same time, I feel a bit of melancholy and empty-heartedness. 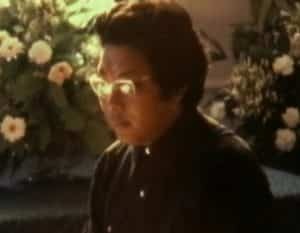 There is a great deal more unpublished material in the archives of Chögyam Trungpa’s work. Of course, I intend to continue my efforts to make that material available through my own work and by supporting others, doing as much as I can for as long as I can. But how long is that? One never knows. As we age, it becomes obvious that the time we have is limited and fleeting. So I feel a little emptyhearted at the same time that my heart is full. Such are the contradictions of life. Along with so many others, I feel an urgency to address the future of Trungpa Rinpoche’s teachings and to help support that legacy, to the extent that I can. In September 2016, Judy Lief and I are leading a workshop, Opening the Dharma Treasury, at Naropa University to train about fifteen potential editors of Chögyam Trungpa’s teachings. (Other senior students trained by Trungpa Rinpoche will also be joining in to help.) We hope this will be just the first of many such programs, since there is a need for people to do this editorial work well into the future. Many of those attending are under forty, with some in their twenties and a few oldsters. The workshop is an experiment. We’re not sure exactly how to train editors. What is the skill set that people need? How much previous or ongoing study of the Buddhist teachings is necessary? 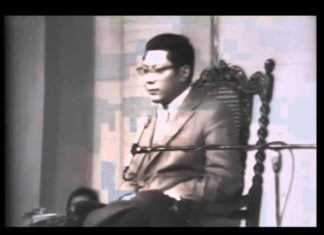 How much study of Chogyam Trungpa’s teachings is necessary? How much practice and what kind of practice do people need to do? Is the ability to edit something that can be taught, or are we looking for a basic aptitude, a karmic propensity perhaps, that can be nurtured and improved? We hope to emerge from this week with plans for an ongoing program throughout the year, as well as our yearly gatherings. Any ongoing work will be largely distance training, with online meetings and consultations, as well as occasional regional or national gatherings in person. Our goal is to have material worthy of publication within the first year or two. Support for this project has come from many places. Diana J. Mukpo, Chögyam Trungpa’s widow and the copyright holder to all of his literary work, has given her blessing to this undertaking. 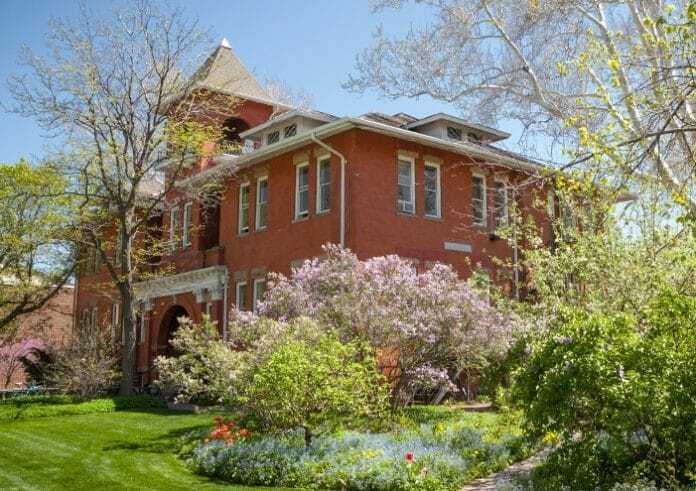 Naropa University is providing administrative support and guidance and is providing the venues for us to meet in. The Hemera Foundation, Shambhala Publications, Kalapa Media (previously Shambhala Media), and the Chögyam Trungpa Legacy Project are all providing resources and input into the process. 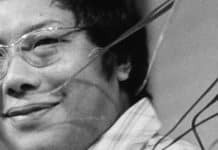 People realize that we must do this if we want the corpus of Chögyam Trungpa Rinpoche’s work to grow and continue to be available in the decades to come. Maybe our first efforts won’t be a resounding triumph. But if we can spark a flash, a glimpse, of insight, that will be success, and from that, anything is possible. Many authors, artists, poets, thinkers, and teachers—most perhaps— speak largely to their own generation. We need these people who guide us and inspire us as we go through life. Some are visionary but cannot communicate that vision beyond their own time. A few continue to inspire centuries after they are gone. I would bet the farm, as they say, that Chögyam Trungpa is one of these. 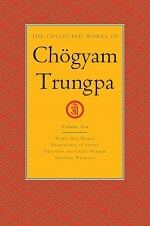 I hope and trust that there will be many future volumes in The Collected Works of Chögyam Trungpa. Certainly, there is enough valuable and unique unpublished work to make up at least another ten volumes. The bigger question is who will archive, transcribe, and edit this material so that it can see the light of day. His is the mishap lineage, so it’s very hard to know from where that light will come or who will take us on the next real step forward. It could come from plodding, planned, and premeditated efforts that some of us are making. It could just as easily come completely from left field. It doesn’t matter who gets the credit or what succeeds. The interdependence of things is more to the point. We need to strive as mightily as we can—and then let go, so that there is space for others to step in. Likely we won’t know the results of our efforts, but we can hope that through the dedicated work of many, his voice and his wisdom will continue to be heard long after we are gone. *Although the Ngedön School began at Naropa, it later operated independently. Of this transition, Phil Karl wrote: In 1985, Ngedön School was transitioning out of Naropa. The school was kind of homeless. Gabrielle Bershen was the coordinator. She said, “I’m running Ngedön School out of the trunk of my car!” She literally was. She showed me two or three file boxes of student records and source-book readings in her trunk, which she would show up with wherever classes were being held. She would welcome people, register them, and the talk would begin. It was Ngedön School, whatever the obstacles. **Later other parts of the curriculum were available as well. 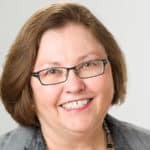 The compiler and editor of The Collected Works of Chögyam Trungpa, Carolyn Rose Gimian has been editing the works of Chögyam Trungpa for more than twenty-five years. She is the Executive Director of the Chogyam Trungpa Institute at Naropa University. She studied elocution with Chogyam Trungpa from 1983 to 1987 and was authorized by him to teach this method.